MKV is an open standard free container and file format that accommodate a variety of different types of encoded video, audio and subtitle streams. 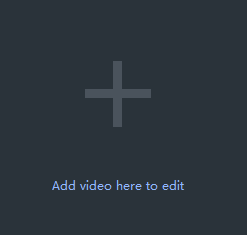 Step 1: Import mkv file s.
First of all, an interface which involve a wide range of tools such as cropping, watermarking, joining, rotating, splitting and so on will automatically come into view when you open Windows video editor tool. Please click " Batch Cutter ” to unlock the corresponding window. Then you should click "+" in an attempt to import MKV files. After selecting and opening it, the video in MKV format will appear in the vision of the field. Step 4: Export mkv files. Click "Export" after you have polished the video in MKV format. Provided that you want to export the video with MKV, you just click the boxes beside "keep original format" and "Export". You can also choose other formats and device to save it on the computer. Rename your video and ensure that the saving location is right. The settings for resolution are also available for you. Finally, don't forget to click "Export" to save converted MKV file.